MTV2 has been providing hip hop programming for a little over a year. After years of demands, MTV has finally revived several of their former shows, via MTV2. Among the shows returning will be the ever-popular, “Yo! MTV Raps.” This weekend, the series will relaunch, but other programs will also broadcast in anticipation of the new shows. A special called MTV2’s “Yo! MTV Raps: Classic Cuts” will also air and Maino will be a part of the episode. While he was filming, MTV2 had a conversation with Maino, first asking him about his pick for the Super Bowl. A native of Brooklyn, New York, Maino said the New York Giants will take home the trophy. The conversation quickly turned from sports to Maino’s own upcoming album, The Day After Tomorrow. Known for making street records and anthems, Maino surprised the world when he came out with “That Could Be Us.” Quickly, the song made its way onto radio playlists around the nation, becoming a solid hit. Maino explained to MTV2 why he created a song for the ladies. Because women respect good music, too, Maino said he could not forget about them. The type of artists Maino follows are the artists who are able to do street music, while also providing tracks for the ladies. “That Could Be Use” gives Maino two solutions, one is showing his growth as an artist, the second is catering to the female audience, who take up a larger portion of the public. While Maino fans will have to wait until February 28 for the release of The Day After Tomorrow, he delivered a mixtape. 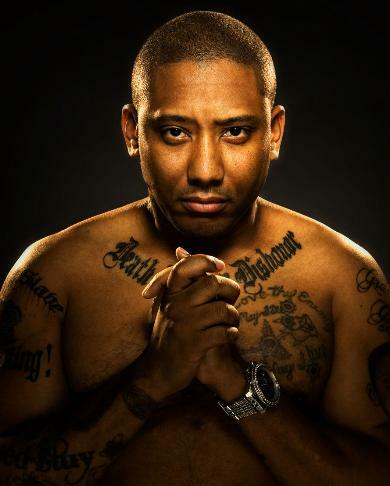 The latest street offering from Maino is I Am Who I Am: The Mixtape Before the Album. Discussing the mixtape, Maino said he has a song up there, which is called “Rare Breed.” The song is a shout out to his friends, along with “Last of the Mohicians.” Maino admitted the mixtape is not for everyone, it is for his niggas and not yourÂ niggas.